In my mind Bo Jackson is without question the greatest athlete of my generation. Nike did a great job capitalizing on this as well with all their "Bo Knows" marketing. 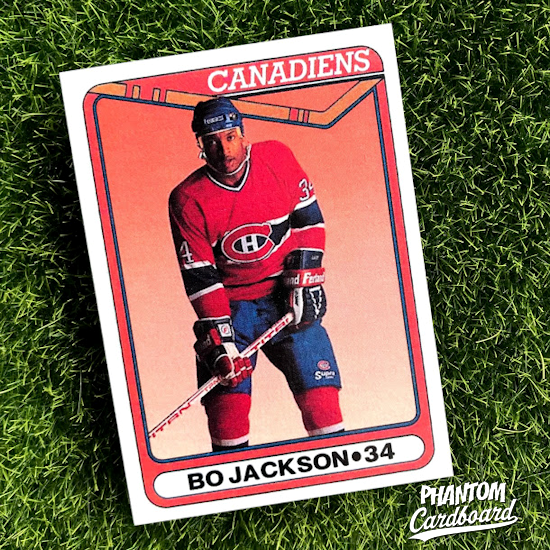 The image in this card I believe is from a horizontal Nike poster picture multiple Bo Jacksons dressed up for different sports and it's set inside a 1990 Topps hockey inspired template. If you've never seen the ESPN 30-For-30 documentary You Don't Know Bo, then I would highly recommend checking it out.